Carla Hall (co host on The Chew) said that Salt was like a box of compliments. If you don`t add any you won`t get any! We can all agree that salt does make our dishes taste a whole lot tastier, but how much is too much? How can salt effect your goal to lose weight? What if you have serious health issues, like high blood pressure or heart problems. What amount of salt is a healthy amount. Is there a healthy way that we can replace salt? 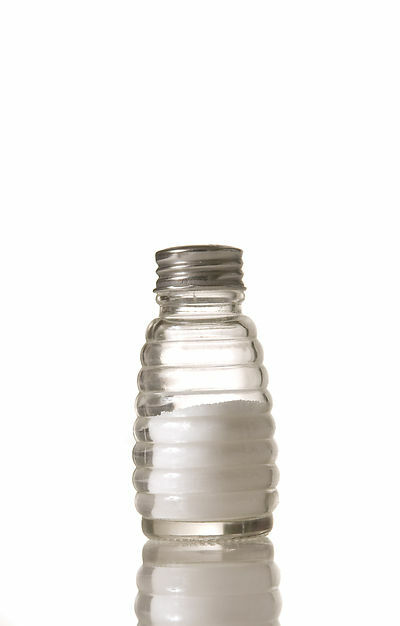 Whether you are in good health or not, this post will shed some light on the salt debate. Firstly I would like to say that this is a follow-up post to my Calories-In, Calories-Out article. If you are counting your calories and exercising you may want to consult my calorie chart by clicking here; http://ahugasmileawarmheart.blogspot.com/2013/06/calories-in-calories-out.html. Just how much salt should we be eating per day? According to the heart and stroke foundation; it is a very limited amount. Only 2300 mg per day (this amount may vary depending on your condition, be sure to ask your doctor about the amount of salt you should be eating per day). Which is equal to only one teaspoon. How is an excessive amount of salt intake dangerous for us? Again, according to the Heart and Stroke foundation; eating foods with too much salt can increase the amount of blood in the arteries, raising blood pressure and increasing the risk of heart disease and stroke. How can salt effect your weight-loss goals? While salt is not fattening; eating high amounts of salt can cause temporary weight gain. As salt permits the body to retain water. If we reduce our salt intake significantly, then the body releases water. Resulting in some weight loss. Also, if we do have a diet high in salt, it is usually because we are eating a lot of `processed foods.` These foods are typically high in fat content. Examples of processed foods are; fast foods, hot-dogs, chips, sliced cheese, and frozen dinners. Is it possible to replace salt all together? It seems that to stay healthy we actually need some salt. Salt helps to maintain the natural fluid balance in the body. So while we should not cut out salt completely from our diet, there does exist salt alternatives on the market. However, these should be used with caution; because it has recently been reported that; salt substitutes may not be such a healthy choice after-all, as they contain way too much potassium chloride. This is extremely unhealthy for people with heart or kidney problems, or who are on certain medications. So whenever replacing salt with a substitute, always speak to your doctor first. -Cut out processed foods. If you do buy processed, then be sure to read the labels. Because of the increase in health problems including strokes and high blood pressure. Many companies are now reducing the amount of salt they put in them. Slowly reduce processed foods until you can wipe them out all together. -Remove the salt shaker from the table. If there is salt added to your dish while you cook, avoid adding more at the table. For more information on salt intake; sodium reduced recipes, shopping advice, etc. Here is the Heart and Stroke foundation website. Check it out. http://www.heartandstroke.com/site/c.ikIQLcMWJtE/b.3484241/. Prevent heart disease, stroke, and high blood pressure now! Take control of your health today. Update; I was recently sent this article on HIMALAYAN SALT. While I have not tried it yet, the benefits of it seem very good. Again before substituting your regular salt please seek medical advice first. This is a very informative article. It mentions the dangers of regular salt which may include some of my points above as well as some new ones. It is worth the read.